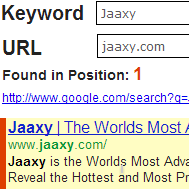 Megabit Marketing™ > Keyword Research > Jaaxy – Review of the Fastest Online Keyword Search Tool! There was a time when Jaaxy’s support was a little behind the times, and this little gem came under fire by some original reviewers back around 5-6 years ago. Since that time Jaaxy has come a long way with several upgrades that addressed speed enhancements, overall look and certainly use and reliability. Jaaxy has also added several newer features that weren’t available during some previous reviews. I’ll just touch on the highlights here, you can visit the site for the rest on your own. I would like to give some insight about a product that I have used time and time again. Perhaps one of the finest keyword tools for researching words and phrases that are effective in optimizing your site within your particular niche. Rather than spell it all out, I created a short video to do it for me. The paid version gives many more results and a faster interface. Gain a better understanding of keyword competition. Easy to find the position of your website in the search engines. So what are some things that Jaaxy Enterprise simply does BETTER than the rest of the pack? 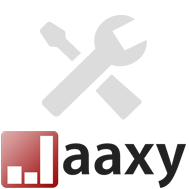 Below I have broken down 7 key features contained within the Jaaxy Keyword Tool that you should have in your arsenal. When you are able to access your keyword competition you can tell whether or not a keyword will be easy to rank in Google. What if you could uncover competition values of 30 keywords INSTANTLY, a task that would take 30 minutes with other tools, in a matter of seconds? 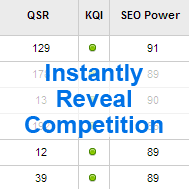 With the PR Technology that is available with Jaaxy, you get instant competition data for all keywords. One simple click, and you’ll be presented with awesome low competition keywords in every search. If you are looking for page 1 Google rankings, then this will be your “go to”. When we create content on our websites we want to know where it is ranked. You can do this by trying to click through all of the SERP’s (Search Engine Results Pages) following a Google search (if you can catch it), or you can quickly search the top two hundred results in Google with the program’s Site Search function, which is easily ten times faster. This is a brilliant tool for SEO or local marketers that are wondering where their pages are ranking and want their data in the most efficient way possible. Jaaxy Enterprise certainly delivers! 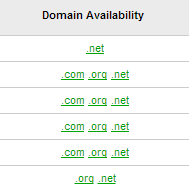 Let’s not forget, domains are like real property on the internet. A good parcel of webspace can carry a decent cash value and domains appreciate over time. The Instant Domain results within Jaaxy Enterprise are unmatched when it comes to the insight provided. Immediately locate high value domains, exact match domains, and build up your domain portfolio as an asset. You might be surprised to discover that there are still an unlimited number of “domain nuggets” and you’ll see what I mean with your first Jaaxy Enterprise search! Any available .com, .org, & .net (what are called “Top Level Domains” or TLD’s) fetch the highest value and can be retrieved right along side every search. This is pure GOLD for any type of marketer. Should you ever decide that you’d rather tailor your search results while they are being processed, Jaaxy Enterprise allows you to “pre-sort” the data columns in such a way that the results come in “ready to roll” based on your preferences. No need to weed through keyword results, trying to find what you want, or because the program won’t allow you to change. 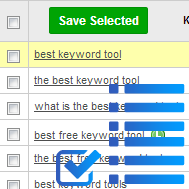 This will save you hours and hours every month in your keyword research activities. 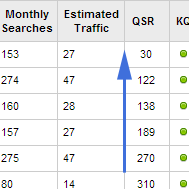 Sort by Competition, Keyword Searches, or the Proprietary filters like QSR (Quoted Search Results) and the Keyword Quality Index! Feature #5: Do What Matters INSTANTLY. With 20+ years of knowledge inside the keyword and market research arenas, the Jaaxy Team has put together a tool that delivers only the most important data. 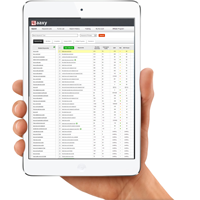 With Jaaxy Enterprise you can retrieve the data you need almost INSTANTLY. No other tool can provide the same results, simply because of the power packed engine behind the system. Meaningless data is filtered out, and the data that is delivered means something. No inflating data, no bogus metric that’s not required. Just highly valuable and usable data that you can make sense of and use to benefit your business. Feature #6: Best Mobile Research Solution. Unlike most of the “download and install” desktop keyword tools, you can access Jaaxy from anywhere in the world that has an Internet connection…and on ANY device. Whether you are using a Mac, PC, iPhone, iPad or Android device, Jaaxy just WORKS, and works from the comfort of wherever you are (granted you have an internet or cell tower connection!). You can research prime keywords while you are waiting for a seat at the restaurant or while having your favorite drink at the bar and save your new found “gems” to any one of your personalized keyword lists. No annoying Captcha to fill in, no services block for over scrapping the system. The technology behind Jaaxy is state-of-the-art and is the only online based keyword research tool that gives you data you can really use. Jaaxy is constantly evolving and improving its service and as an Enterprise member you get exclusive access to any of the latest systems and add-ons that are released, exclusive to the Jaaxy Enterprise membership. By becoming a member you get access to all of these updates for no extra cost, and there are many planned for its future releases! The training here is well put together and very organized. More member/users than you can shake a stick at who want to share their expertise and help you. To begin with, it costs nothing to open an account and try. Yes you read that right ZIP, ZILCH, ZERO. But if you continue to make money online through a website and Affiliate Marketing, then you should invest in good tools. And Jaxxy is one of those tools that’s well worth the investment. Jaaxy is certainly a “must have” for anyone wanting to compete in the SERPS and make money online. Here’s a 2nd video by the developer of Jaaxy speaking on Jaaxy Enterprise. Kyle…take it away! If you have any specific questions or concerns please let me to know in the comments section below.